Get all the benefits of studying in London, without being tied to the UK healthcare sector. This one-year course allows you to develop the skills to manage and deliver healthcare anywhere in the world. The Clinical Nursing MSc course is a flexible study pathway that builds on your existing clinical experience and skills, enabling you to lead and support the development and subsequent delivery of evidence-based practice. The course begins with the core modules Measurement and Evaluation for Healthcare Practice and Developing Professional Leadership. The 12,000-word dissertation gives you a chance to put your new analytical skills to use. You can choose between a systematic review or, if you’re more clinically focused, a service evaluation. The course lasts one year, from September to September. It includes a 10-day placement at one of our partner institutions. You will also have the freedom to choose from a range of additional optional modules to reflect your choice of research pathway. You will complete the course in one year, studying September to September, taking modules totalling 180 credits, with 60 credits coming from a dissertation of around 15,000 words. The programme also includes a 10-day period of specially arranged clinical observation in the UK. The programme also includes 10 days of supervised practice, personalised to the student’s needs. The placement takes place within one of the university’s partner healthcare organisations and will focus on developing competences appropriate to the particular clinical setting. Our teaching staff are all experts in their fields. Active in research, and many are leading clinicians at some of London’s top hospitals. The course has a combination of lectures, seminars, and independent study. Your contact time will be 24 academic weeks, with 31 weeks for self-study. You will take an additional 30 credits from a range of optional modules that may include a selection of clinical specialities and other generic modules. If you have already studied clinically-focused modules at undergraduate or graduate level at King's, you may be able incorporate the research into this programme. Modules studied elsewhere may be included through accreditation of prior-certificated learning (subject to a successful accreditation claim). 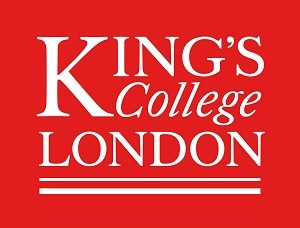 Additional modular choices from another faculty at King’s College London may be available, and the inclusion of a particular optional module in your chosen study pathway is subject to the approval of the programme director. You will be permitted to take additional credits up to the maximum allowed by regulations. Visit the Clinical Nursing MSc page on the King’s College London website for more details!